Geoff Wright left Auckland in 1999 with a dream to one day own his own organic vineyard and winery in Gisborne. Driven by the same pioneering spirit as his Croatian Great Grand Father (Stanko Jurakovich) and Stanko’s Brother in Law (Martin Lovich). This dream is now a reality. Geoff and Nicola Wright, along with their family of fuve young boys, own and operate 3 vineyards (45 acres), a winery and Café. It is a business built on hard work and kiwi ingenuity. Geoff runs the Winery and Vineyard Operations. Nicola works on Sales, Marketing and the Café. Both are highly qualified professionals – Geoff (Chartered Accountant) and Nicola (Barrister & Solicitor). Geoff Wright is New Zealand’s third generation winemaker. His Great Grand Father (Stanko Jurakovich) immigrated to New Zealand as a child. Stanko secured his winemakers licence in Auckland, Kumeu on 14th March 1931. In 1944, Stanko’s land was sold to San Marino Vineyards, which is now forms part of the well known winery Kumeu River, belonging to the Brajkovich family. Our vineyards are based in two very different appellations of Gisborne. Ormond Valley Appellation – Terrace Vineyard and Valley Vineyard and the Manutuke Appellation – Coastal Vineyard, which is where our winery and Café is located, nestled under Young Nicks . Our Café is located in Manutuke, nestled near Young Nick’s Head – the first place in New Zealand sighted by Captain Cook, who arrived in New Zealand on 6th October 1769. 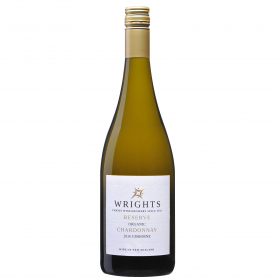 In 2000, Wrights Vineyard and Winery released its first wines – Chardonnay, Gewurztraminer and Methode Traditionnelle. These remain our flagship wines. We also produce high quality Pinot Noir, Pinot Gris, Syrah and Sauvignon Blanc. We set up our first vineyard in 2005 – Ormond Valley – Terrace Vineyard. Geoff and Nicola planted this vineyard themselves. The planting of the vineyard was from grapevine cuttings sourced in 2003. While establishing the vineyard, they worked during the week in their professions to fund the business. Weekends were spent working the land. In 2011, they built a strawbale home on their Terrace Vineyard. The perfect tribute to their personal philosophy of treading lightly and being aware of the living environment. We produce around 90,000 bottles of wine a year. Some of our wines come from the oldest Gewurztraminer, Chardonnay and Syrah vines in New Zealand. The vines were planted in the early 1980’s. 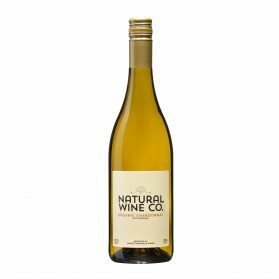 Producing two wine ranges – Wrights and Natural Wine Co, both are grown by us, made by us and certified organic through AsureQuality. 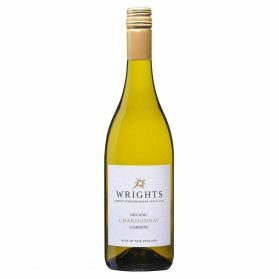 Our Wrights range is crafted applying old world winemaking techniques. Working to ensure interesting wines, using oak, skin contact maceration and blending. 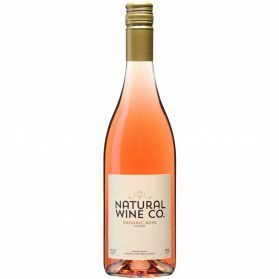 Our Natural Wine Co range are pure, fruit driven commercial styles, using wild ferments. 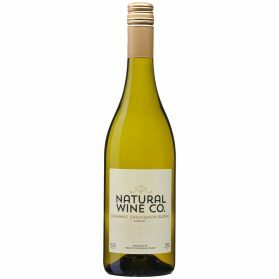 All our wines are low allergen – we do not use animal based ingredients or fining. Preservative levels are kept to a minimum. Bob Campbell Master of Wine of New Zealand, brands us – the Worlds Hardest Working Wine Family. At times things do get a bit chaotic and crazy. On our vineyards we encourage bio-diversity, we have implemented several initiatives in this area. Setting up native gardens, ponds for wild life, practising biodynamics, composting and recycling. We also have 500 olive trees on our three vineyards and produce a small amount of divine olive oil. Our wines are available direct online through our web page and sold all over New Zealand. We also export to Asia, Pacific Islands and emerging markets Canada and United Kingdom. Our cellar door is located at 1093 Wharerata Road, Manutuke, Gisborne, and is open from October – April. Outside these hours, we welcome appointments. We offer gourmet pizza’s, wines by the glass, wine and food matches and a relaxing family environment.